Tombo has introduced itself as London’s first authentic Japanese café and delicatessen. Situated near South Ken station, its become a hub for sushi lovers who live in the local area and Imperial College students. The cafe has a clean, fresh and friendly look about it, reminiscent of the Muji brand I would say. Grace and I however, came here for one purpose, not for the food, but for the desserts. Matcha #foodporn begins now. First off, started with Matcha Latte. Nothing special, better ones in Hong Kong, but hey I’m not in Hong Kong.I thought it was too bland, could have added an extra spoon of matcha powder. This is apparently Tombo’s speciality. 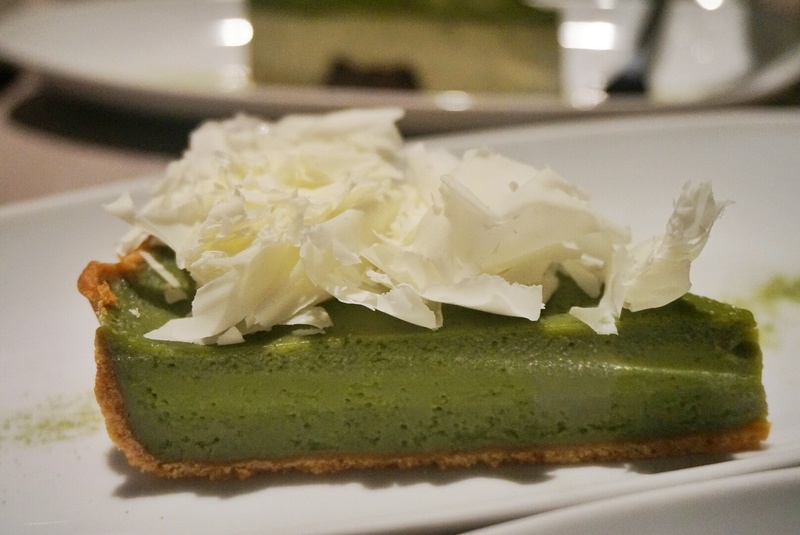 Below is one of my absolute favourites, matcha tiramisu! I absolutely loved this one, I’m screaming for more right this second. Aroma is there, the flavour is there, strong matcha smell is there, a very roasty scent, I present to you the matcha tiramisu! Visual appeal only, our least liked dessert! Yeah I’m not sure what this was and I can’t find it, I think it’s panacotta something. That’s red bean you can see there. The texture was like rubber, too much gelatine. We didn’t even finish it! My number one dish. The strong matcha flavour comes out in full force, you can really taste the roasted green tea leaves in here, this is definitely the best matcha dish at Tombo. The tiramisu was sweet, but this one was not, it had just the right sort of bitterness to it. Those are matcha brownie cubes, too dry. If you see the fuller picture below, we have some cornflakes at the bottom, adding a bit more character to the sundae. Probably the best matcha brownie I’ve ever had! (Well, I think this may have been my first matcha brownie…) I’m running out of adjectives here, but it’s just so, bloody, damn good. Bitter, but again, the right sort of bitter, strong and not sweet, and not dry at all. We’ve only gone and ordered 8 different types of desserts, don’t be shy. Oh don’t worry, we finished all of it. 10% off for IC and vet students nearby, website sets 10% off for all university students though. Their sushi afternoon tea looks unique, you may want to give that a try. Oh wow everything looks so delicious!